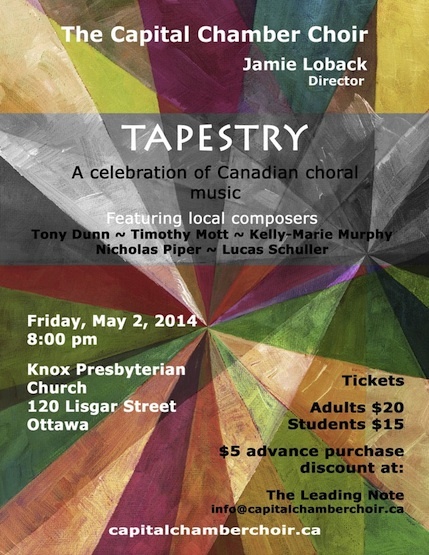 The Capital Chamber Choir will perform two pieces, The Trees on the Edge and Drop, Drop Slow Tears, in concert this Friday at 8:00 P.M. at Knox Presbyterian Church. 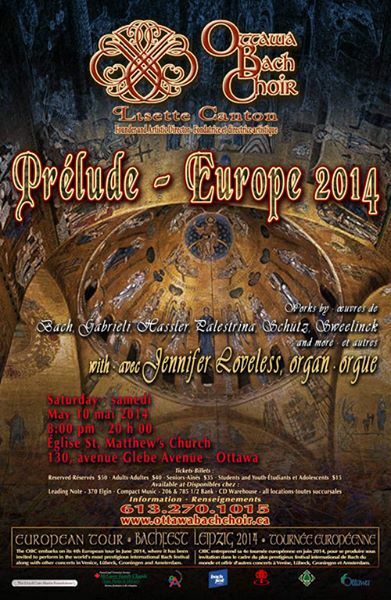 The following evening, the Canadian Centennial Choir will perform a newly commissioned work, Nisi Pontus et Aer, at Southminster United Church, 7:30 P.M. This piece is composed for choir, string quartet, percussion and piano. It is a setting of a passage from Ovid’s Tristia in which the poet describes vividly a storm he encounters on his way into exile. Whether intended by the ancient writer or not, I hear a bit of political allegory in his words that seems timely even today! 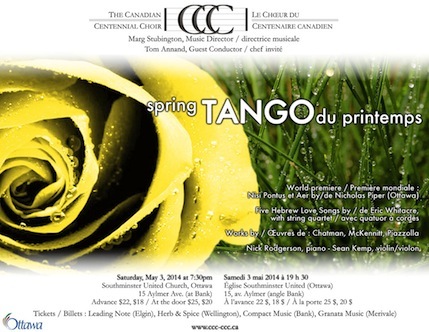 Next weekend, the Ottawa Bach Choir will perform The Trees on the Edge on Saturday, May 10, 8:00 P.M. at St. Matthew’s Anglican Church. This concert is in anticipation of the choir’s upcoming European tour during which the choir will perform The Trees on the Edge in Groningen and Amsterdam. Thanks to all these choirs for their excellent work and support!